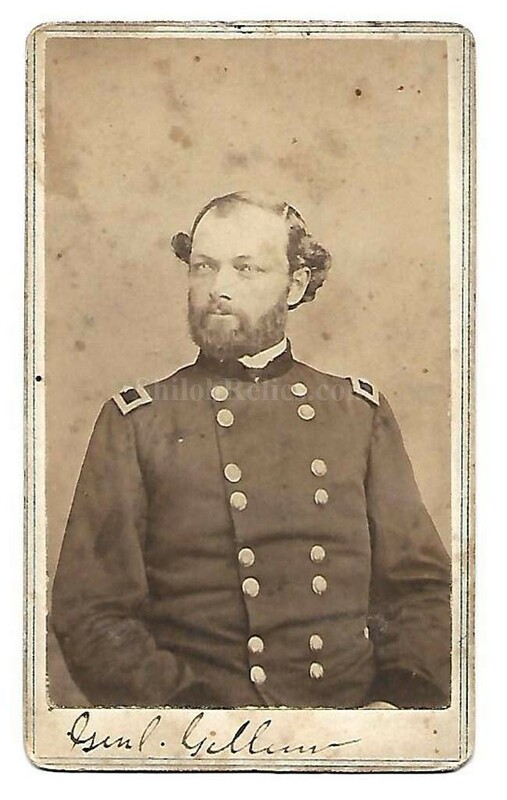 This is an original Civil War era CDV image of Civil War General Quincy Adams Gillmore. Gillmore was born on February 25th 1825 in Lorain, Ohio. In 1849 he graduated from West Point Military Academy at the top of his class. He taught at West Point before the Civil War. 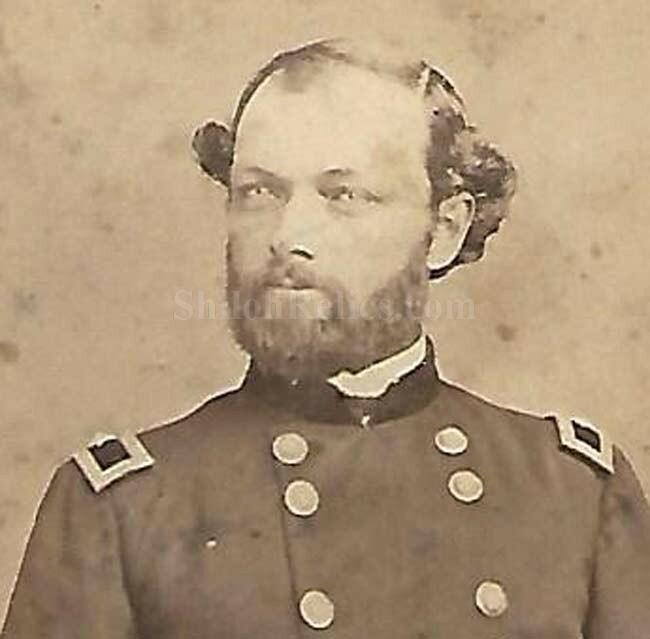 The was promoted to the rank of Brigadier General on April 28th 1862 and then a Major General on July 10th 1863. He served along the Georgia and South Carolina coast. He died in Brooklyn on April 7th 1888 and is buried at West Point. The image shows the general in his uniform with his General insignia showing on his collar. On the bottom of the card it has the General’s name printed in ink. 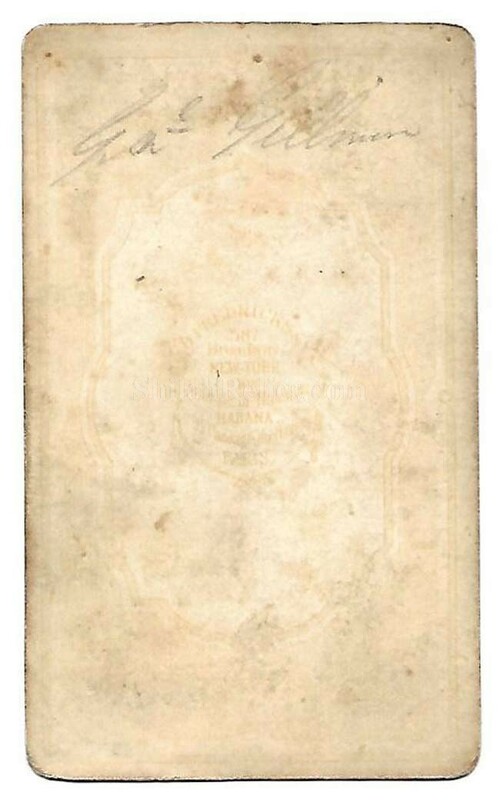 This is a solid original Civil War Union General CDV image.